Scout Branding Evolves - 2012, 2015, 2018, 20?? 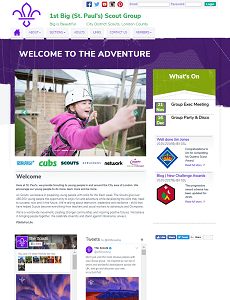 The Scout Association changes their branding regularly to keep it fresh. 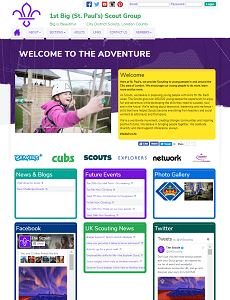 We'll keep your website up to date by adding new colours, logos, images and website look-and-feel themes. The themes shown above show how your website could look. 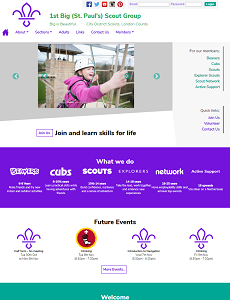 You can select one of these for your Scouts Online website and change it at any time. Click one of the View Demo Site links above to visit a demonstration website using that theme. even setup a FREE evaluation website for you to try.